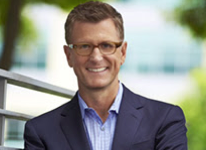 Former Fox network chief Kevin Reilly has joined Turner Broadcasting System as president of cable nets TNT and TBS, and chief creative officer of Turner Entertainment. Reilly (pictured) exited his post as Fox entertainment chairman earlier this year, and was replaced by studio chiefs Dana Waldren and Gary Newman. He had said at the time that the fatigue of running networks for more than a decade – he was NBC’s entertainment boss before joining Fox – had led to his departure, but he will now become a leading Turner executive. US trades noted that his hire came after a long courtship. In the new role, he combines the duties of former Turner Entertainment Networks boss Steve Koonin, who left in April, and Turner’s ex-president of programming Michael Wright. The latter recently joined Steven Spielberg’s film studio DreamWorks as CEO to replace Stacey Snider, who in turn this week was named co-chairman of the Fox film studio. As channels president, Reilly will oversee content development, business affairs, production, marketing, brand and creative services, digital initatives, programming scheduling and monetisation strategies at TBS and TNT. As CCO of Turner Entertainment, he will chair a newly formed programming council. According to Turner, this will be a “coordinated effort” of senior programming executives from TNT, TBS, Adult Swim and truTV, to explore and develop cross-platform opportunities, expand the content pipeline, and position Turner as a key content partner for other media groups. “The creation of a chief creative officer role is central to my model for more aggressively engaging in the war for content,” said TBS CEO David Levy, who Reilly will report to from Turner’s LA office. Levy added Reilly provided a “tremendous track record of success not only in terms of programming hits but also in the new media arena, where he was among the first broadcast network executives to push for meaningful investment in digital and social media”. Besides Fox and NBC, Reilly was also head of Fox-owned FX. He was also president of television at Billstein-Grey Entertainment, where he was responsible for shepherding the pilot for HBO’s ground-breaking mafia drama The Sopranos.